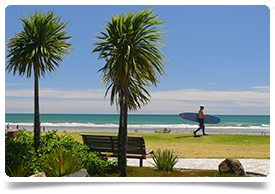 We’re seeking a Psychiatrist (General Adult) with broad experience to work in a small team in Whakatane, which is part of a larger district-wide Mental Health & Addiction Service which spans the Bay of Plenty region. Ideally you will hold FRANZCP and full Vocational registration with Medical Council of New Zealand (MCNZ). Alternatively, if not NZ trained or based, you will hold equivalent specialist qualifications, e.g. MRCPsych & CCT, which are eligible for Provisional Vocational registration (long term) or Locum Tenens registration (short term up to 12 months). These are the two specialist pathways for medical registration in NZ as a Psychiatrist. In this role, you will be working with a community mental health and addictions multidisciplinary clinical team, the acute inpatient unit at Whakatane Hospital, non-government funded organisations, as well as primary care providers. You will work with other Whakatane and Tauranga psychiatrists in a number of cross-district service relationships that include general adult, consultant liaison, child and adolescent, addictions, and mental health services for older people. We are therefore looking for a Psychiatrist with a passion for service development and an interest in education, teaching and research, and who will settle into the local community and provide a vital and valuable specialist service. There is opportunity to work with Auckland University Medical School students and Psychiatry Registrars. Whakatane offers a coastal, relaxed lifestyle. With some of the best beaches in NZ on your doorstep such as Ohope, Mount Maunganui, Papamoa and Ohiwa, it's ideal for those who love the great outdoors. Locals enjoy easy access to a fantastic untouched natural environment, which lends itself to such outdoor pastimes as surfing, paddle boarding, fishing, sailing, swimming, mountain biking, hill walking and more.